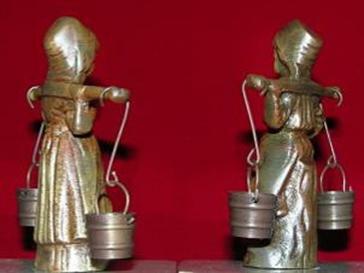 “Carrying the Milk Pails”. 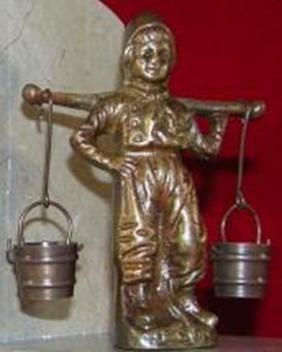 Made in Austria – Circa 1918. 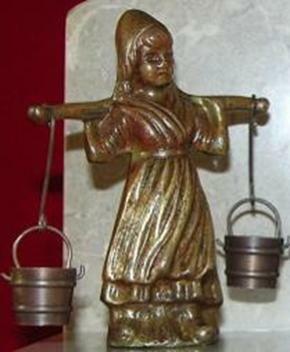 Solid bronze figures carrying free-swinging milk pails on their shoulders. 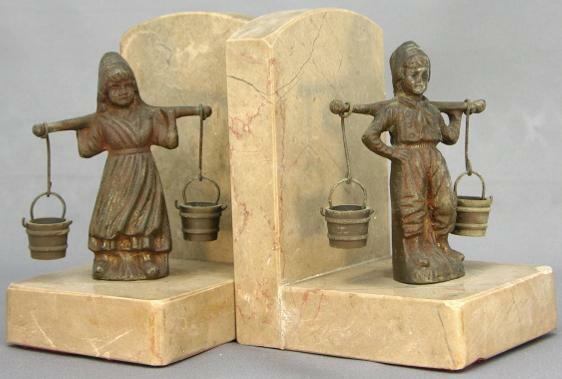 Old marble base. Measures 4-3/4” high x 2-3/4” wide x 3-3/4” deep. Weighs 4-3/4 lbs. the pair. Small chip in marble on front corner. Otherwise great condition.